← 2013-2014 Kennesaw State Men’s Basketball Schedule is out! I grew up in the era of video games. Not X-Box, PlayStation, or Nintendo, but Atari was me and my brother’s vice. We played games like Pit Fall, Space Invaders, and Basketball. The graphics were revolutionary for the time. The box-like figures stomped around the screen in a sluggish motion, but it didn’t matter. It was video games in our own home that we didn’t have to put a quarter in to play. The Atari defined the video game industry in the 1980’s and it was an absolute must have. 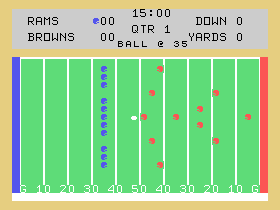 The first football video game that I played was on the Texas Instruments TI 99. You played as either the red team or the blue team. The game had no NFL license and you had to name your team. Being an avid Tampa Bay Buccaneers fan in the 1980’s was brutal, but the video game allowed me to bring victory to the virtual team I named the Bucs, because it would only allow eight characters to name your team. Leading my Bucs to victory is what hooked me on video games. It allowed an eight-year-old kid to change the virtual reputation of a franchise who was a perennial loser. It allowed me to challenge my older brothers and escape with a win. It was a glorious experience and I was hooked. From the Texas Instruments in the mid-80’s there was a lull in gaming. The fire was once again sparked in 1988 when I received a Nintendo for my 13th birthday. It came with Super Mario Bros. and Duck Hunt. The graphics were like nothing I had ever seen before. The games were crisp and fun. I played as plumbers, commandos, baseball players, basketball players, and yes, football players. The John Madden Football series was released and I once again had my chance to redeem the Buccaneers who had gone 2-14 in ’85 and ’86 seasons. They improved to 4-11 in 1987 and clearly needed my help. With the release of Madden (with no NFL License or real players), I was back in the game and taking my Buccaneers to the playoffs. It was a rekindling of that eight-year-old who believed I was making a difference. Playing Madden football for a young child was the stuff dreams were made of. The gaming industry had come so far in such a short amount of time and I was living it. Madden was revolutionary, but quickly got challenged by a new football game. 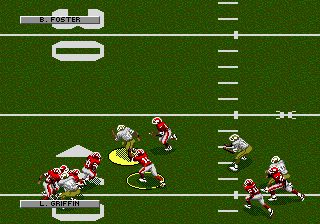 In 1991, Joe Montana Football was released for the Sega Genesis. It included a real player in Joe Montana and it looked very different from Madden. There was video game competition for football gamers, although Madden and Montana were both developed by Park Place Production Team. A legendary coach and the greatest quarterback of that generation competing for footballer fans hearts and minds. Madden out sold Montana, but Joe Montana Football was the preferred video game by me and my brother, because in 1992, Joe Montana Football had the NFL license and the actual teams. I could finally play in the Florida Orange uniforms of my Buccaneers! Madden matched Montana with the NFL license in 1994 and the competition for Football gaming champion was on. The hitch for the Montana series, which dropped the Joe Montana Football title, came in 1996 when the Sega Saturn was released with the NFL ’97 game, which was made exclusively for the Saturn platform. The Saturn was a total failure and the gaming industry shunned the football game that was linked with it. 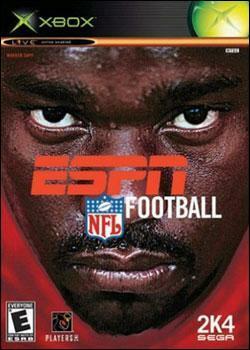 The NFL football game series took a fatal blow with the release of NFL Prime Time ’98. The Madden series took the next step in gaining the NFL Players Association in Madden ’95, which pushed Madden ahead of any other sports video game franchise and set new standards. 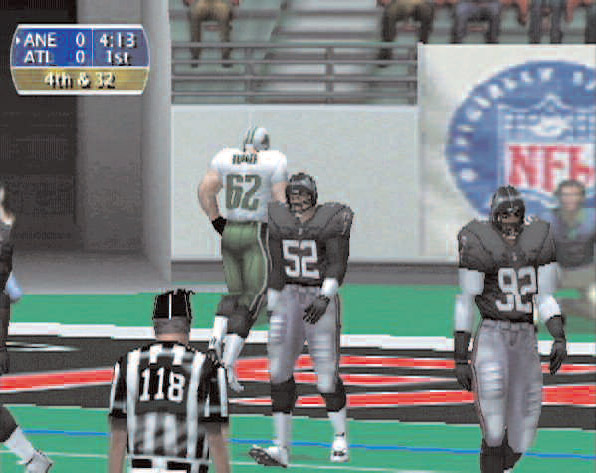 The Madden series continued to add new features, such as Create-a-Player and the two-minute drill in the games artificial intelligence. Madden ’96 was also the first game to offer “Classic Teams.” The biggest complaint about the Madden series year-in and year-out was the game play didn’t change very much. 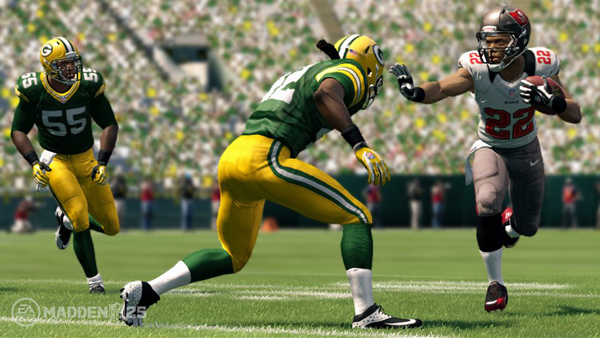 New features were minimal and fans began to look elsewhere for football video games. game hoping to take steps to outlast 2K. 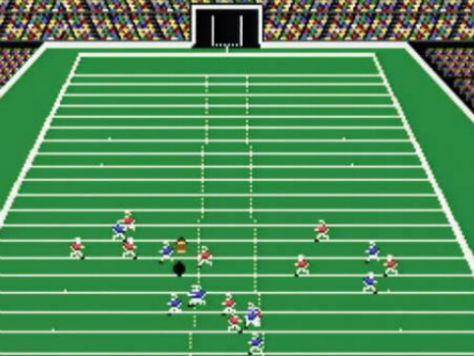 The competition was great for football gamers. You had players who loved Madden and hated 2K and those who were die-hard 2K fans and turned their noses up to Madden. In 2004, 2K did a very business savvy maneuver when they teamed with Take-Two Interactive and teamed with ESPN and released ESPN NFL 2K4 for a $19.99 retail price versus Madden, which was $49.99. Fans flocked away from Madden and checked out the 2K Sports football game and liked it. Madden was in trouble and against the ropes. Like a wounded boxer, Madden went for the K.O. and they threw $400 million NFL’s way and gained exclusive licensing rights mortally wounding the 2K series. Madden also stole the ESPN rights away from 2K Sports. Madden had survived and was undefeated in the video gaming war. Moving forward nine years to Madden 25. It is the only NFL game in town, but give it to the Madden franchise for continuing to improve upon the Madden series each year, even without any competition. Madden 25 is no different. After picking up the game, I couldn’t wait to get it home to play. Once home, and struggling to open the cellophane wrapping, I finally used my teeth to tear into the game and placed it into my PS3. Of course an update was available for the Madden 25 game and I intuitively accepted everything to update the game files. The game took about three minutes to update and it was go time! The game’s title screen appeared and I was peeled to the television. I’ve always liked watching the opening sequence of video games to get pumped and motivated. I sat staring at the title screen for several seconds, then a minute, then two minutes. I grabbed the controller and began pushing buttons, nothing. The game was frozen. Not a good way to start. But, hey, it was a new game, these things happen so I restarted my PS3 and….the same thing happened on the second try. I really have no patience for these kinds of things. My motivation to play was diminished considerably, but I grabbed my smart phone and began to search for answers. There was no doubt that this was happening and happening a lot based on the flood of gamers complaining online. I searched for about 15-minutes and finally found a gamer who had blogged the update at the very beginning of the game was the issue and the game ran fine without the update. So, I had to go into the Game Data Utility and delete the existing Madden25 file and re-start the game. It worked, I got past the title screen and knew I had to regain some motivation to play, so I played the training tutorials. I was less than impressed. I figured I had better get in the game. I selected my opponent, the New Orleans Saints. Of course, I played with the Tampa Bay Buccaneers. The game was impressive from the beginning once I got past an awkwardly animated Jim Vance and Phil Sims introduction. The graphics were top-notch, the game play was smooth, and very quick. Playing offense or defense was extremely fun with challenging Artificial Intelligence. I was back to that eight-year-old child sitting in the den and playing video games reflecting back on my life with Madden. Posted on August 30, 2013, in Uncategorized. Bookmark the permalink. 2 Comments. I am a Tampa fan as well! I haven’t bought Madden since ’06 because of the lack of quality gaming. EA has a monopoly on the pro football arena and I hate it.It is always the same game every year. Please bring back the quality of gameplay that was had when competition such as ESPN 2K5 was available. COMPETITION BREEDS QUALITY. I couldn’t agree with you more. But honestly, I really enjoyed the early football games with out all the bells and whistles. Heck, I even liked the vibrating football field game back in the 80’s. I hadn’t purchased a Madden game since 2009. I did buy NCAA football last year, which I really enjoyed. I bought Madden 25, because it is the last series for the PS3. I don’t know that I plan on buying a PS4 for a while. I think I can get some mileage out of this one until all the links are worked out of the new systems. Thanks for the comments! Go Bucs!